ENDING NEXT WEEK: The Buy One Get One Free Special! For just $31, you can get a full year PDF/Email subscription (23 issues) for yourself — and FREE BONUS subscription for a friend. 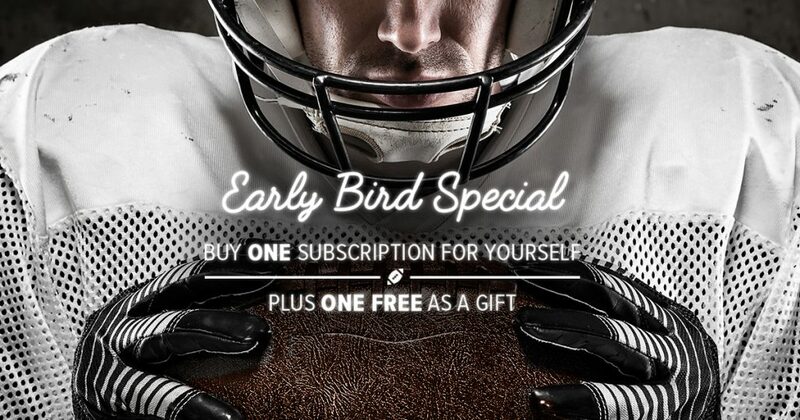 Or spend $23 for a 17 week Email Subscription that will push a PDF version of our newsletter to your inbox during college football season. The Buy One Get One Free Special is back! For just $31, you can get a full year PDF/Email subscription (23 issues) for yourself — and FREE BONUS subscription for a friend. Or spend $23 for a 17 week Email Subscription that will push a PDF version of our newsletter to your inbox during college football season. Associated Press – AP Top 25 Heat Check: Why is Michigan State behind Michigan? ESPN – The Eliminator returns: How many still in CFP mix? The Buy One Get One Free Special — get it before it is gone! For just $31, you can get a full year PDF/Email subscription (23 issues) for yourself — and FREE BONUS subscription for a friend. Or spend $23 for a 17 week Email Subscription that will push a PDF version of our newsletter to your inbox during college football season. Time is running out to take advantage of the Buy One Get One Free Special! For just $31, you can get a full year PDF/Email subscription (23 issues) for yourself — and FREE BONUS subscription for a friend. Or spend $23 for a 17 week Email Subscription that will push a PDF version of our newsletter to your inbox during college football season. Sports Illustrated – The SEC East Is Headed for Chaos Again. Who’s in the Best Position to Survive It? Sports Illustrated – Week 2 Power Rankings: What Can We Learn About the Top 25 From One Game? Dallas News – Was Josh Rosen that good in the second half or did Texas A&M defense just collapse?